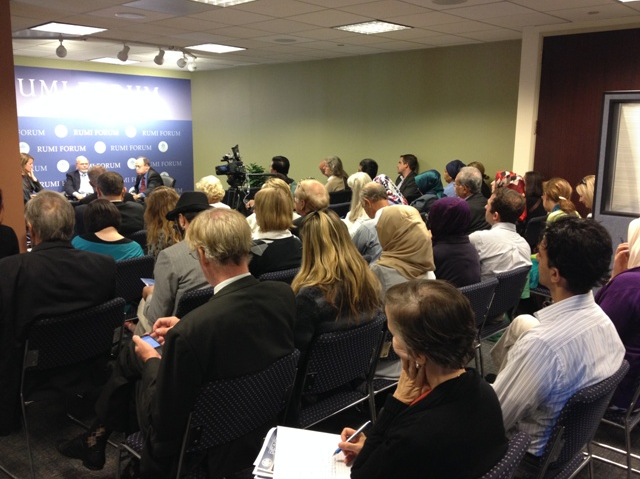 USIP’s David Smock, Susan Hayward and Palwasaha Kakar talked on religious peacebuilding on Tuesday, September 23, 2014. Marc Gopin moderated. David Smock, who is the vice president, Governance, Law & Society and director of the Religion and Peacebuilding Center, explained how the program was first established and lead by Professor David Little in 1991 addressing religion, ethics, and human rights. 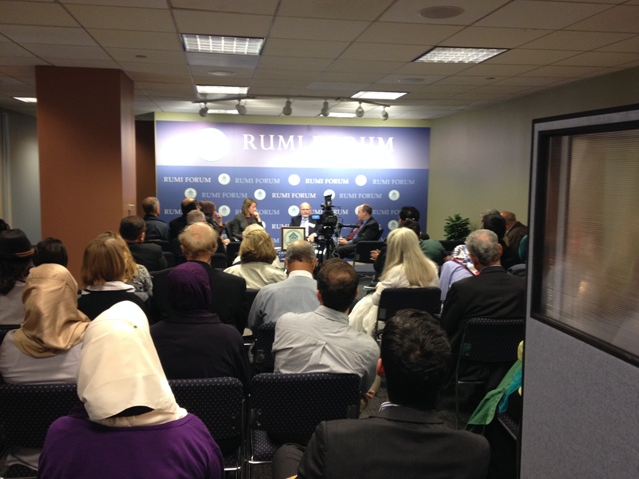 The program’s initial focus was derived from the notion that religion is a source of conflict. This was later changed in two different ways. First: To focus on action in the field rather than just scholarship, and second: to focus on religion as a factor in peacebuilding. 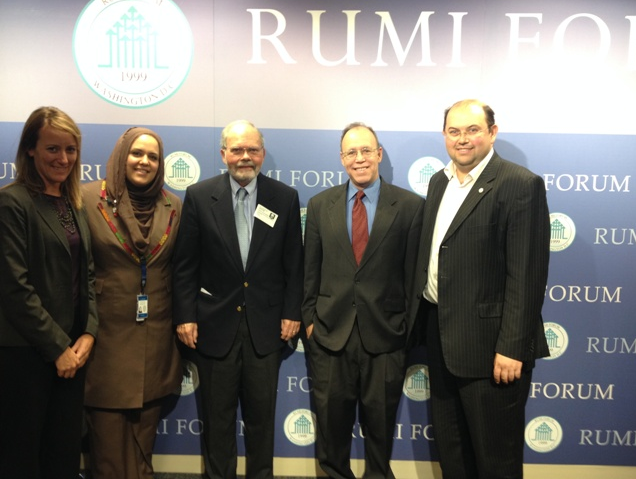 Religious leaders can be peacebuilding actors, or agents promoting peace. This program is now led by David Smock, and he brings several examples to remind us not to exaggerate the role of religion in conflict. His work in Nigeria proved how the killing of many Muslims by Christians was caused by factors other than religion. It was not a conflict over theology but over advancement and political power. The two parties’ religious identities were only used to differentiate and mobilize each group. Dr. Smock further described how his work with local partners is pertinent in helping to identify who the players are and what best strategies to approach and utilize. The program currently has three different local partners in Nigeria. 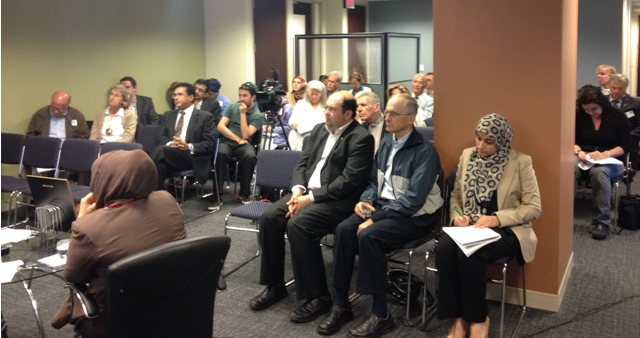 Furthermore, this program works to promote inter-faith and intra-faith relations in Iraq, Sri Lanka, and Burma. Their objective is to enhance religious leaders’ effectiveness as peacemakers as well as to enhance the role of women as religious peacemakers and leaders, such as in Colombia. It is important to look at religion as one dimension in addressing extremism. Susan Hayward develops conflict prevention, resolution and reconciliation projects specifically targeting the religious sector; she is the senior program officer in USIP’s Religion and Peacemaking Program. Her experience in the field also shows how all religions have capacities to be used to legitimize violence in some form of justice. In fact, often times, issues that bring about conflict are structural injustices and a big stumbling block is conflict within religious countries. Her work has revealed the importance of enabling policy environment that gives space to religious roles, such as in Iraq. There is a need to support policy development since there is a huge gulf between secular and religious sectors. Civil society actors play an influential role as well. Palwasha Kakar is also a senior program officer for Religion and Peacebuilding at the U.S. Institute of Peace. Kakar joined USIP after four years with The Asia Foundation where she was the Afghanistan director for Women’s Empowerment and Development. She has been working and engaging with Afghan religious leaders in the discussion on forgiveness, consultation, conflict resolution, and protecting Islamic rights, especially pertaining to gender. Dealing with high ideal between martyrdom or peaceful resolution within Islamic framework has been challenging. Her approach was to develop school curriculum promoting peaceful framework in madrassas, and working with madrassas to create textbooks for the purpose of training teachers. These books can go as far as Nigeria, Egypt, and Libya, used by ministers of education to help promote more peaceful Islamic values. Through these teachings, women’s rights are protected with laws that do not go against Islam. Curriculum is carefully put together to be appropriately applied to the indigenous people. Working with women’s rights advocates, religious leaders, and legal advocates makes this a more possible endeavor . 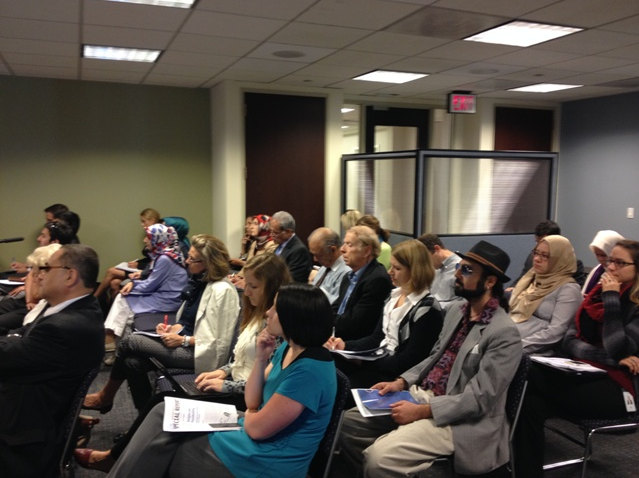 The Religion and Peacebuilding Center at the U.S. Institute of Peace was launched in July 2000 to analyze religious dynamics in conflict and to advance the peacebuilding roles of religious actors and organizations in conflict zones. For the past 14 years, the U.S. Institute of Peace has been organizing programs to address zones of conflict from a religious perspective. The Center conducts research, identifies best practices, and develops peacebuilding tools for religious leaders and organizations. The Center also works in multiple zones of conflict to strengthen peacebuilding programming that engages religious actors, organizations and institutions. 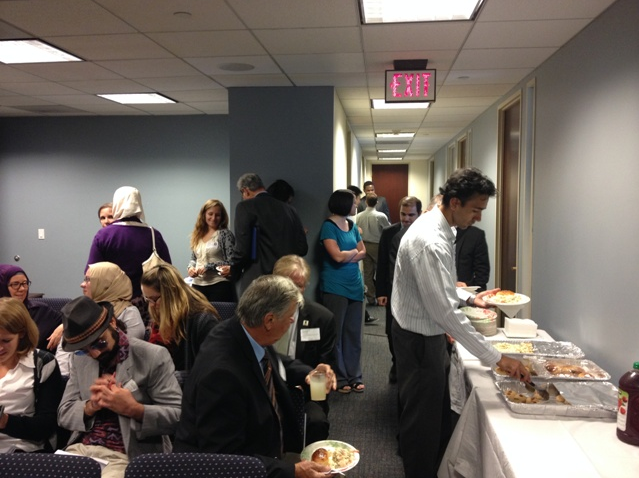 Over the past fourteen years, the Center has helped define and shape the field of religious peacebuilding. USIP has worked in Sri Lanka, Nigeria, Burma, Colombia, Pakistan, Indonesia, Libya, and Iraq to promote religious peacebuilding. 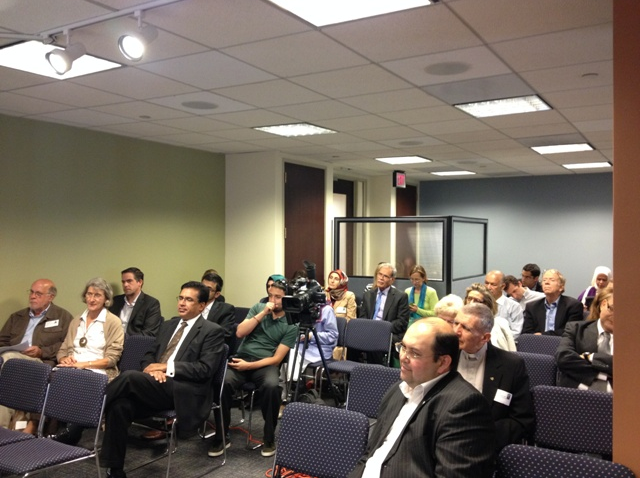 This presentation will present some of the lessons learned from this effort. 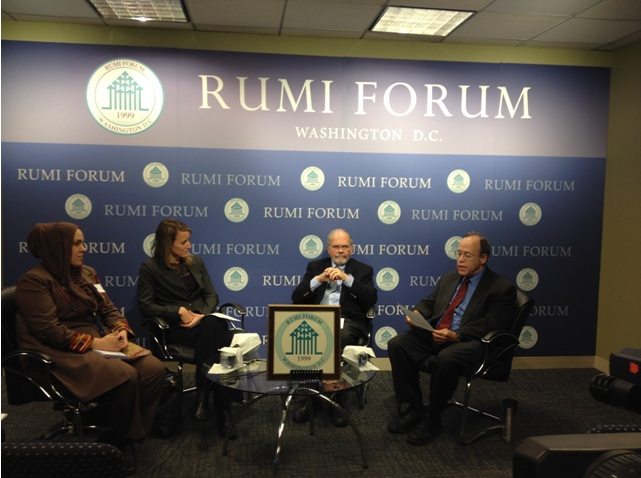 David R. Smock is the vice president, Governance, Law & Society and director of the Religion and Peacebuilding Center. Previously he served as director of the USIP’s Grant Program and coordinator of Africa activities. He has worked on African issues for more than 30 years and lived in Africa for 11 years. As a staff member of the Ford Foundation from 1964 to 1980, he served in Ghana, Kenya, Lebanon, Nigeria and New York. He received master of divinity degree from New York Theological Seminary and a doctorate in anthropology from Cornell University. Palwasha L. Kakar is the senior program officer for Religion and Peacebuildingat the U.S. Institute of Peace (USIP). Kakar joined USIP after four years with The Asia Foundation where she was the Afghanistan director for Women’s Empowerment and Development. Prior to joining the Foundation, Kakar led the Gender Mainstreaming and Civil Society Unit in the United Nation Development Program’s Afghanistan Subnational Governance Program managing a small grants program for Afghanistan’s civil society initiatives. She earned a Master’s degree focusing on gender, politics and religion from Harvard University’s Divinity School and a Bachelor’s degree in Religion and Global Studies focusing on peace and conflict from Bethel College in North Newton, KS. Susan Hayward develops conflict prevention, resolution and reconciliation projects specifically targeting the religious sector. Since joining the Institute in 2007, her work has focused on Colombia, Iraq, Burma/Myanmar, and Sri Lanka. She also coordinates an initiative exploring the intersection of women, religion, conflict, and peacebuilding in partnership with the Berkley Center at Georgetown University and the World Faiths Development Dialogue. Hayward holds a bachelor’s degree in comparative religions from Tufts University, a master’s degree in law and diplomacy from the Fletcher School at Tufts and a master of divinity from Harvard Divinity School.